A fellow examiner asked for an EnScript that provides the base32 SHA1 hash value for selected files. This EnScript generates the common base16 SHA1 hash value for selected files. 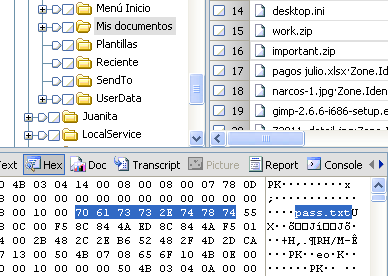 In addition, it converts the base16 SHA1 hash value to a base32 SHA1 value for use in limewire investigations. To use, just select the files you want the SHA1 values for and then run the EnScript. The output is in the console tab. 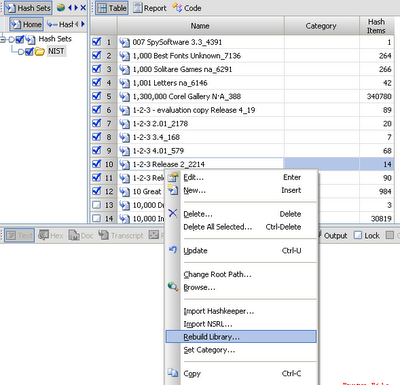 I recently posted an EnScript to provide the hash value of selected text within EnCase. This is an update to that EnScript and it provides the MD5 hash, SHA1_base16 (hex) hash and SHA1_base32 hash values for those that do limewire type investigations. 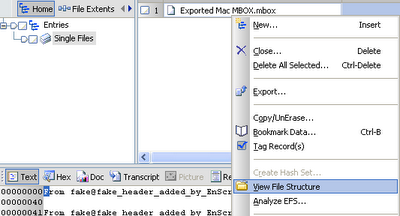 EnScript to convert individual OSX .emlx files into MBOX format so EnCase can parse it. On a request from a person I consider a friend and whom I have learned a lot from, Pat Lim, I created this EnScript to help parse OSX email messages. EnCase can parse many different types of emails, but unfortunately emails in the native "mail" application in OSX is not supported. Pat did some research and figured out the structure of the individual email files typically stored in the /[user]/Library/Mail/POP/Inbox folder. Each email is stored with a .emlx extension. 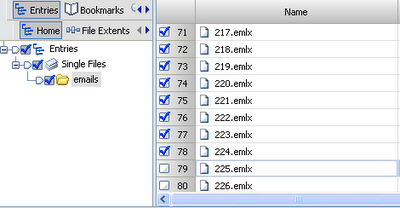 This EnScript will process selected (blue checked) .emlx files. The individual .emlx files will be reformatted and concatenated into one single file and placed in your default export folder for the case. 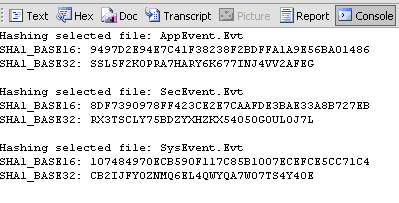 This single file will be in the MBOX format and can then be added into EnCase and parsed. 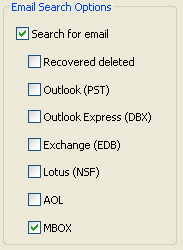 The emails will show up in the records tab if you select the email parse option from the search dialog, or you can simply right-click on the exported MBOX file and choose "view file structure".